Jet Airways has already suspended its international operations. Most airports are dotted with grounded Jet Airways fleet. Cash strapped. New Delhi: A sense of all-pervasive gloom has enveloped the Jet Airways headquarters in Mumbai. Pilots and engineers, not paid salary for months, were least concerned about their flying schedule. They were to take out a march demanding what is legitimately theirs ― the monthly salary. 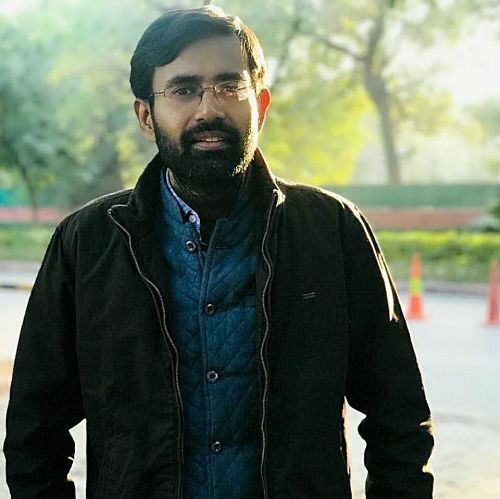 Another section of pilots was busy editing an audio-visual clip on Jet Airways for social media release, appealing to the government and customers to save it. But Jet hasn't been this shattered ever. In fact, many argue, it is reaping exactly what it sowed. 5/20 rule brought by UPA 1 to favour Jet Airways? UPA 1 came to power in 2004, surprising many who were expecting a return of Atal Behari Vajpayee. The Congress-led new regime had one of its key allies, the NCP, get the civil aviation ministry. Within no time, a new rule of 5/20 was brought in. 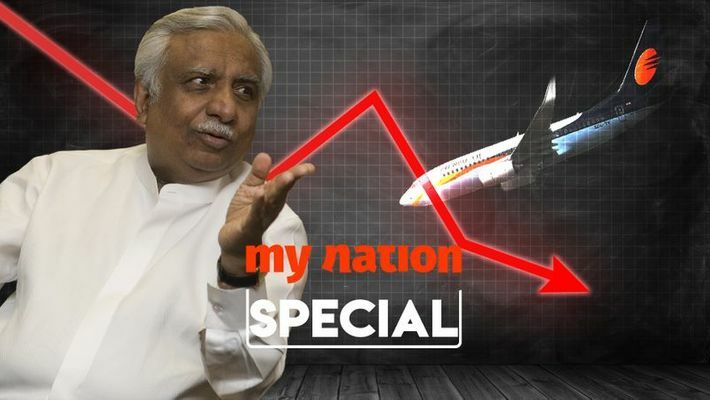 Many industry insiders claim it was brought in at the behest of the Jet Airways chairman Naresh Goyal to give an unfair edge to the market leader. Praful Patel's new rule entailed that an airline based in India woild need at least five years of flying experience within India and 20 aircraft on its fleet before it could qualify to fly abroad. In plain terms, this was discriminatory and biased against the new players. But it certainly gave an unprecedented edge to the Jet, allegedly after lobbying by Naresh Goyal. It took 12 years to revoke the rule. The Modi government removed the 5-year clause to make it a level-playing field, helping airlines like Vistara and Air Asia. Goyal may have stepped down after being faced with no other option, but even the abolition of the 5/20 rule whose introduction in 2004 was discriminatory, was objected to by Goyal tooth and nail. It was all done with the sole aim to keep the market share intact. In fact, in February 2016, Ratan Tata, in a veiled reference to the objection by Jet Airways, termed the 5/20 rule as "protection and preferential treatment". The then Chairman Emeritus of Tata Sons, Tata said the 5/20 rule was reminiscent of the monopolistic pressures by entities with vested interests who fear competition. AirAsia India and Vistara ― two airlines operated by the Tatas through joint ventures were ineligible to fly overseas. The lengths to which Jet Airways went to cut competition even at the cost of the growth of the Indian aviation industry was palpable in the infamous Radia Tapes brought out by the Outlook magazine in 2010 when the Congress-led UPA 2 was in power. Former bureaucrat and then JD(U) Rajya Sabha MP NK Singh, in a purported conversation with power broker Niira Radia, made a direct charge at Praful Patel, who brought in the 5/20 rule as “minister for Naresh Goyal of Jet Airways”. In that purported conversation, where Radia is heard telling Singh that Patel "destroyed the sector", Singh affirmed by saying, "I think he has worked as a minister for Naresh Goyal (Jet Airways)". By 2019, things changed upside down. Jet Airways has already suspended its international operations. 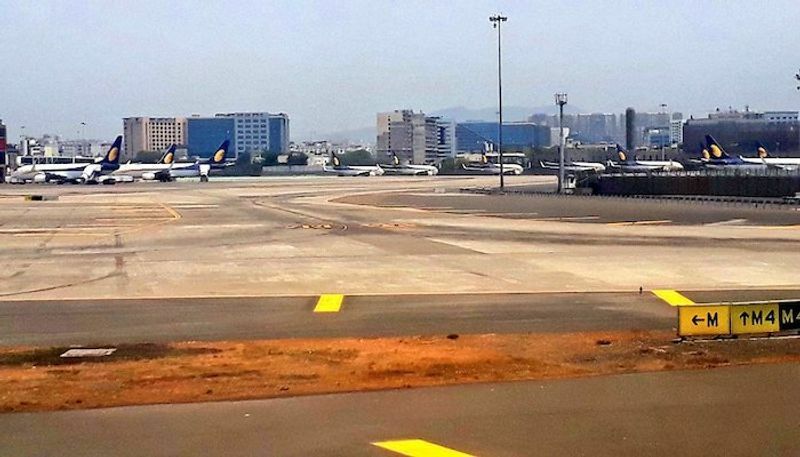 Most airports are dotted with grounded Jet Airways fleet. Cash strapped. Goyal stepped down after writing a long letter to his employees on why he has taken the decision. 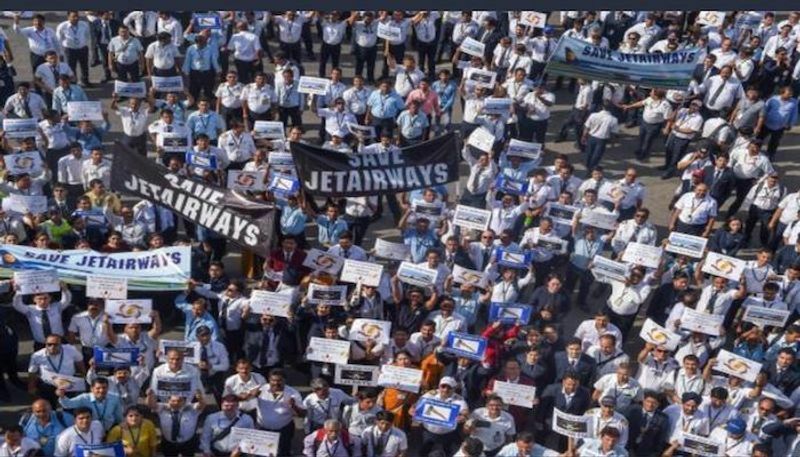 Meanwhile, unpaid pilots have taken to the street, appealing to the Prime Minister to "save" the airline. Pilots have deferred their strike for the time being. But many industry insiders like Mohan Ranganathan say the current doom and gloom is sad but "only for employees". As Pilots shout, "Naresh goyal chor hai", Ranganathan tweeted, "The entire MOCA (Civil aviation ministry)/DGCA was under his thumb and he got away with murder. Thank God only his airline bit the dust and not lives". It is the people close to Goyal and his inner coterie that made him believe that he was a larger than life aviator,resulting in biting the dust. The entire MOCA/DGCA was under his thumb and he got a way with murder. Thank God only his airline bit the dust and not lives!